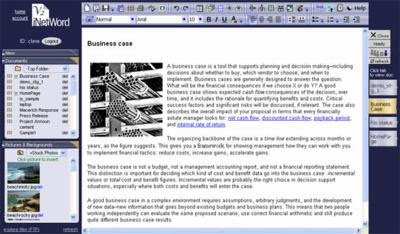 iNetWord is a free web-based word processor that will allow you to format and compose documents in a very similar way to how you would in Microsoft Word. Word does have a few things that iNetWord can't do yet like a built-in grammar checker and custom character styles but then Word can't do online folder sharing and instant web publishing. Of course, Office Live should offer some of that functionality but iNetWord is free. But iNetWord isn't the only free, online word processor, far from it. There are lots of them out there such as Google Docs , Zoho, Ajax13 and ThinkFree. All of these have word processing applications and then there's Adobe's BuzzWord, which is still in beta but it's looking pretty good too. Find Out How With Apple!